Someone asked me how I wired my DPDT switches to my Tortoises so the LED's on my control panel would change the lighted color. This is my attempt at a tutorial. 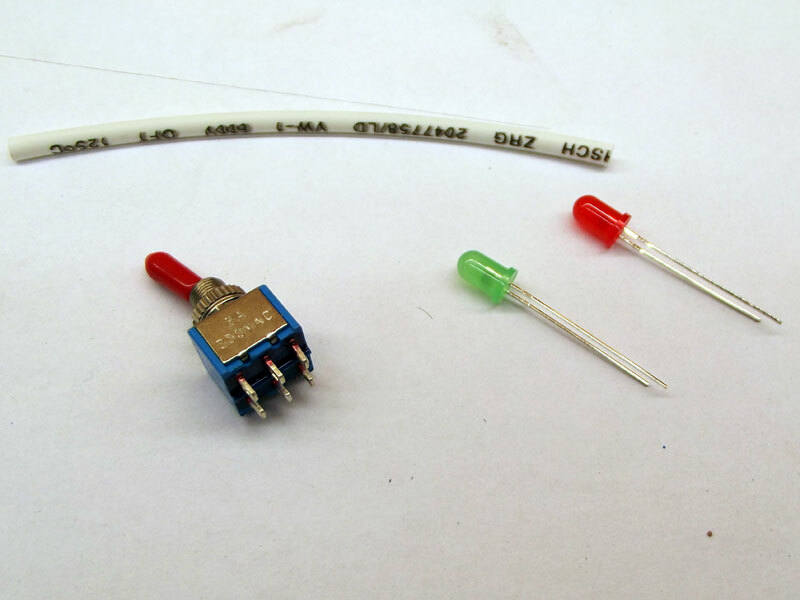 You will need , a DPDT switch On-On , 2 LED's 1 red 1 green is what I use, a piece of heat shrink tube and 3 colors of wire. 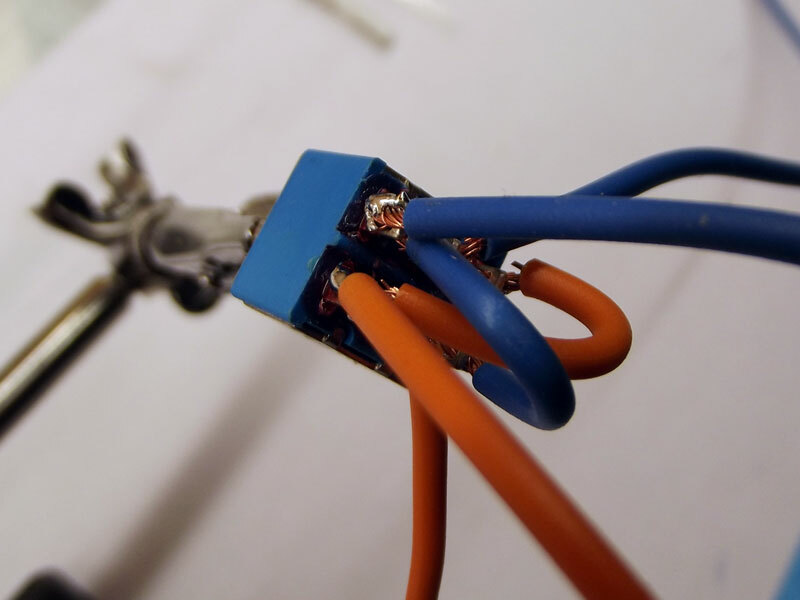 Start by soldering 2 short wires to the top 2 connections on the switch. Next 2 somewhat longer wires to the middle connections, it doesn't matter if you use other colors but connect them the same way as I did. 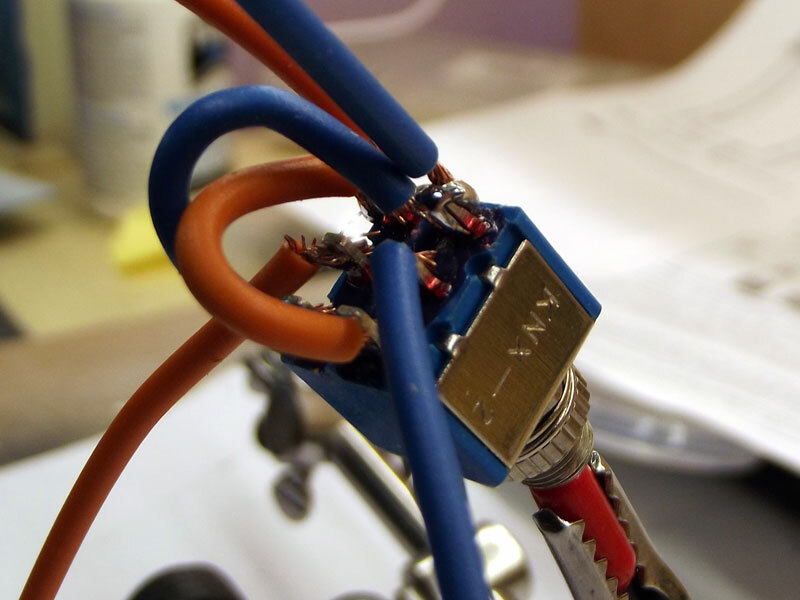 Next cross over the 2 short wires diagonally and solder them. 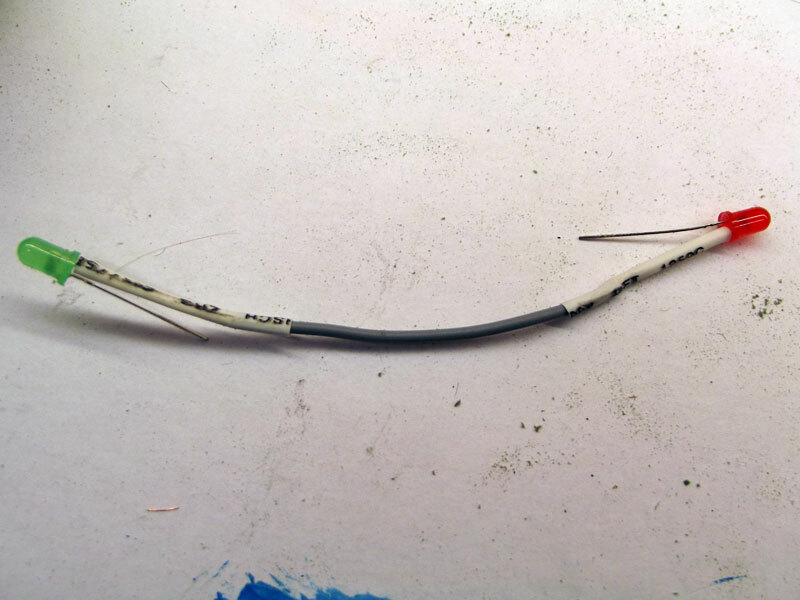 Now solder 2 longer wires to the connectors you just crossed over to, making sure the long wire is connected to the corner that has the same color as the middle wire. 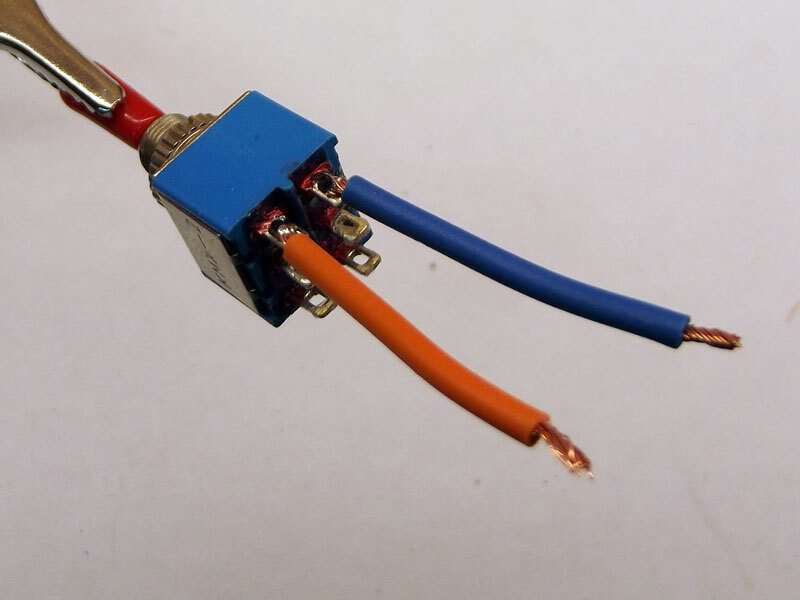 Make sure the long wire is connected to the corner that has the same color as the middle wire. The switch is now wired. 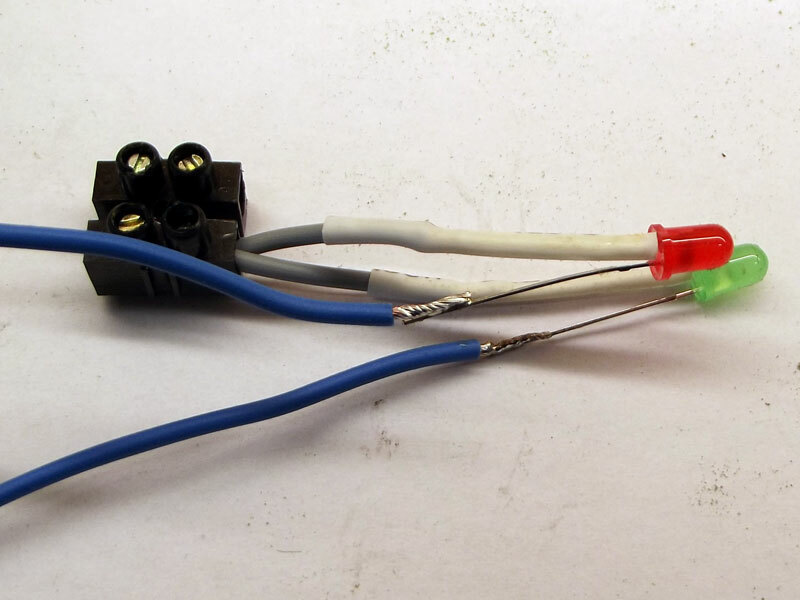 Cut the wire and mount both in a terminal block. Now solder 2 wires to the other legs of the LED, notice I used the blue wires, because these will be connected to the blue wire on the tortoise. Mount these in the other terminal of the terminal block. Okay , someone made an article out of this , I made 9 or 10 the other day without the LED's for now . See , your a published author !! I'm looking into that , I'd still want 2 holes , but with bi-color LED I would have open green and shut red , and this of course change when I switched the turnout. Yes, that is how I wire mine. Two red/green bipolar LED's that turn opposite colors when switched. Gives nice effect when you can see the mainline is lit up green in the direction you want and the feeders are red...and vice versa of course! Great post. I won't have to add extra wires will I , the plus and minus take care of the color , am I right? Correct. 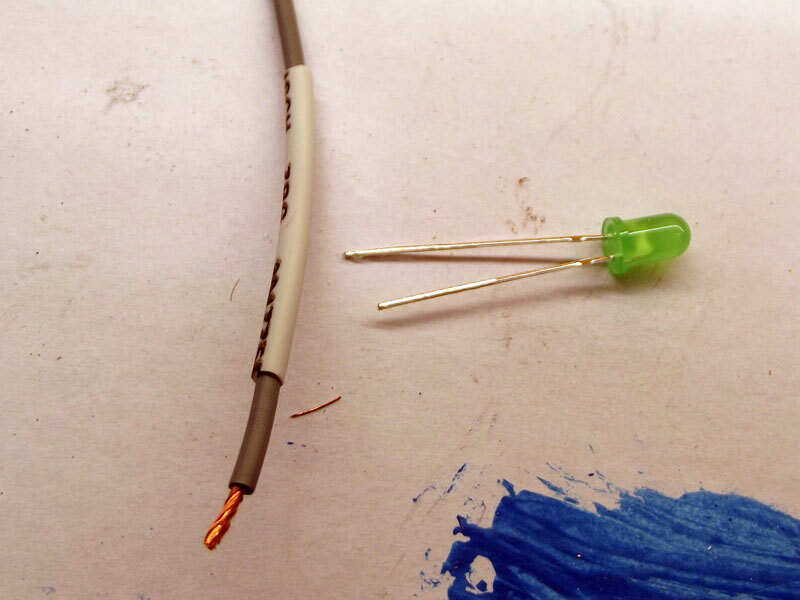 The direction of voltage will determine color. 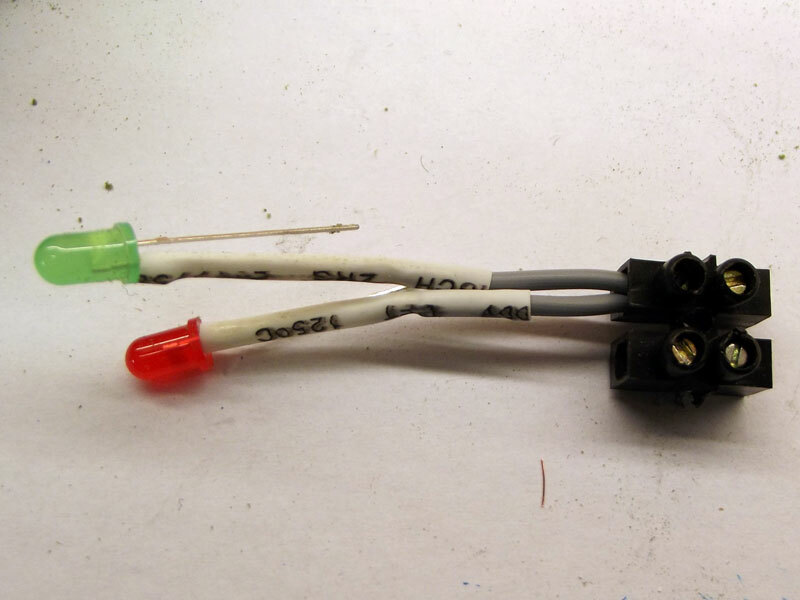 And if your lights are hooked up directly to the tortoise switch, there is no need for resistors. If you need one, I can post a picture diagram I use for hook up. Post the diagram please , I think I know it , but it would be a good addition to this thread. Sorry, just read this while laying in bed. Made a quick sketch. Hope it helps. Let me know if you need a video post. 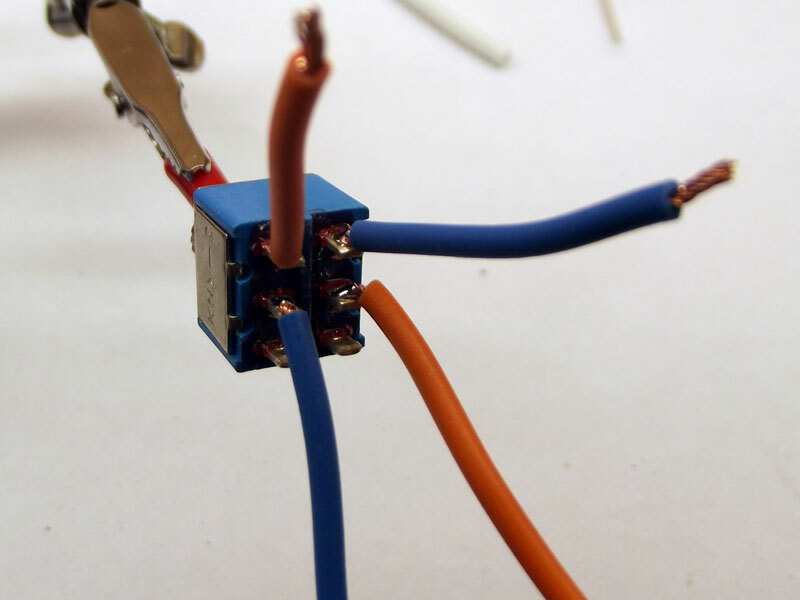 Is the wire connected to 5 the one that goes to the powered frog to change polarity? You see I use a separate power supply for the Tortoises/ Cobalts , not the track-bus. I guess it could. I actually use spot #4 for the powered frog. 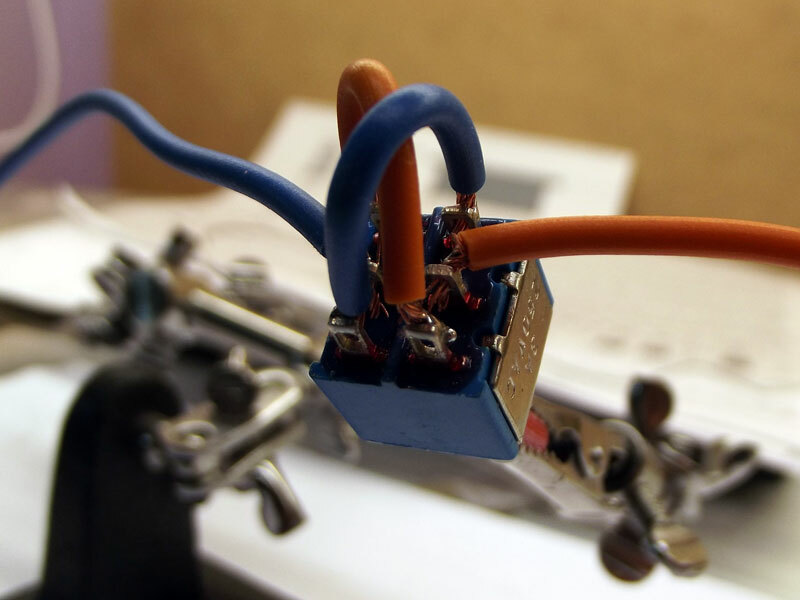 The voltage does not have to come from the track bus, just as long as the positive and negative lines are flowing in the right direction from your power adapter. There are different ways to power these things. Here is the link I use for a basic review. No , I meant to move the switch rod I use a separate power supply 9v DC, for the frog polarity I do use the track bus. Here is a link for a video of exactly what I do above. This video is done by chuck baker.